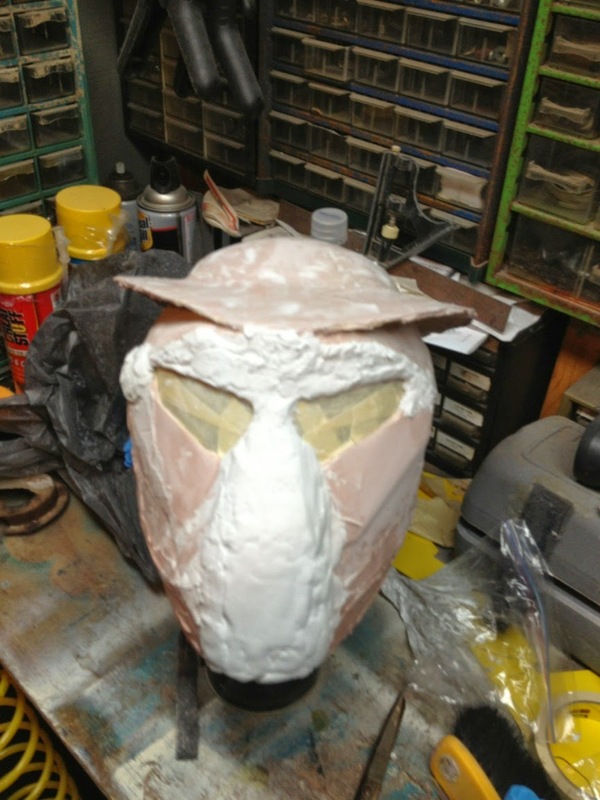 This is my very first attempt at a Predator mask. It's not perfect. It's not even what I really wanted. But, it works, which works for me. For now, anyway. Feel free to use this tutorial as a guide and use different materials as you see fit. 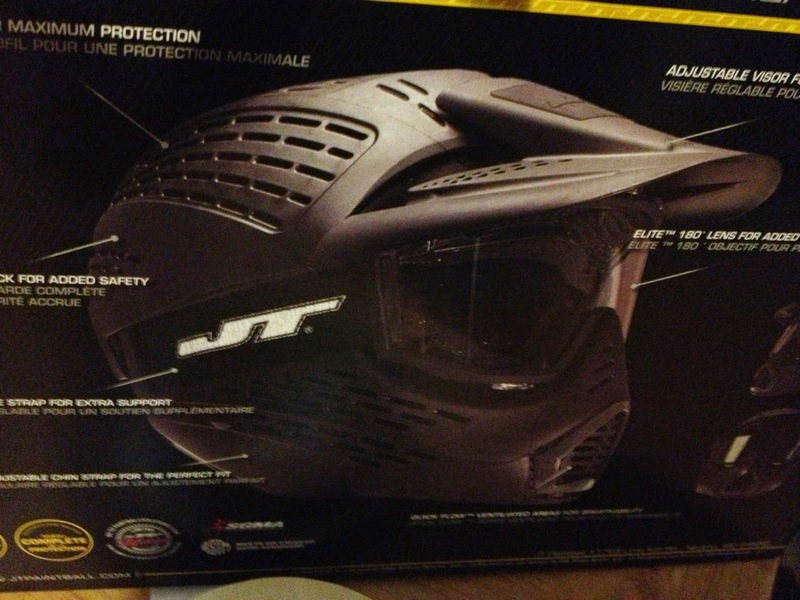 First, I started with an airsoft helmet. I took the visor off (it simply snapped on and off). This gave me the basic shape that I wanted. Like I stated before, not perfect, but not half bad. The Predator helmet has a winging like protrusion. I used cardboard to make that and taped it on. Next, cover the entire thing in masking tape. Next, get yourself some auto bondo. 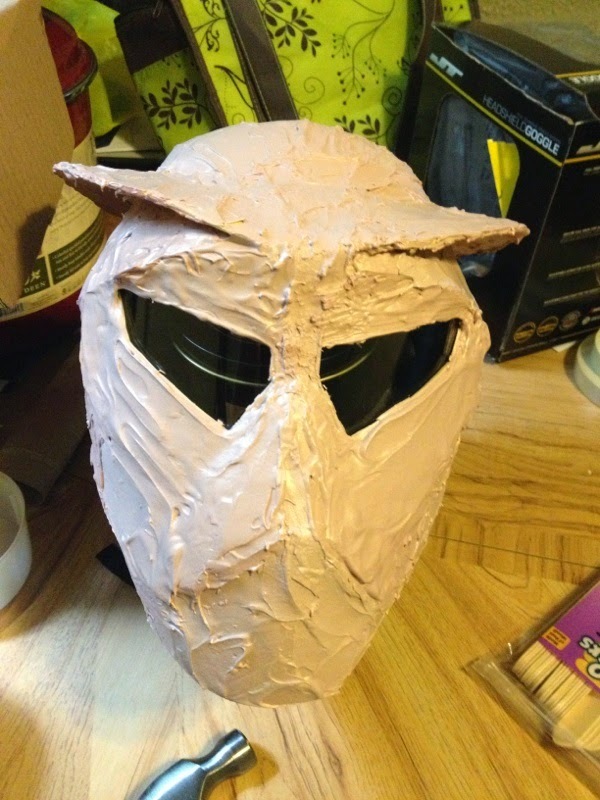 Work in small batches (it dries quickly) and cover your entire masking tape area with bondo. Smooth it out as much as possible (it's not fun to sand). Now, the mouth part wasn't right for me. I decided to fix that up. 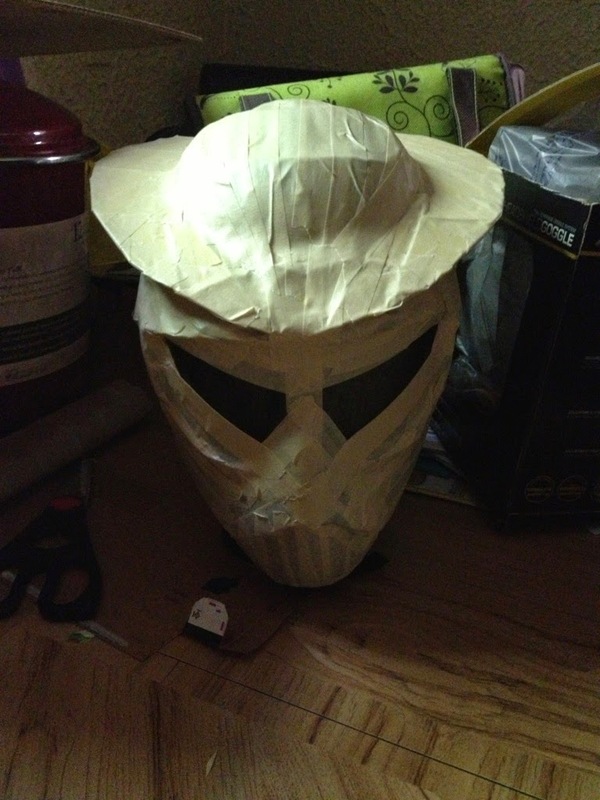 I should have used bondo, but it's a pain to work with, so I ended up using spackle, which didn't work very well. It's too soft and doesn't really sculpt well. I ended up putting it in a ziplock bag, cutting off the tip, and "frosting" it onto my mouth piece. Also, don't forget the laser beam mount on the right side of the eye. That's it for Part One. Part Two will have finished painting picture, plus detailing (including hair!). Comments, questions, suggestions, or requests, leave a comment below.